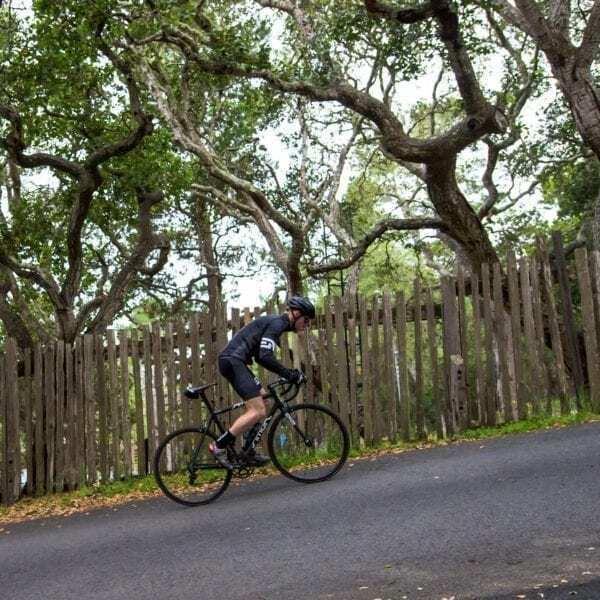 For those who love to climb, the Smart ENVE System 2.2 wheelset is designed to be ridden in the mountains by riders who prefer a shallower wheel. With a depth of 25mm front and rear, the ENVE 2.2 are the only rims in the SES range with matching rim geometries. 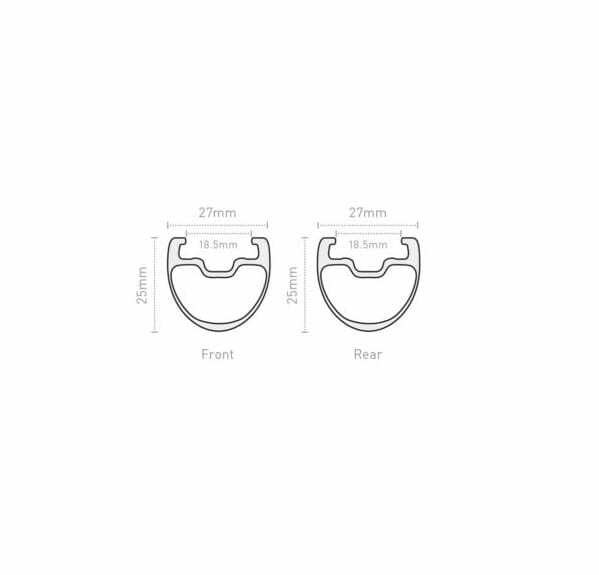 With a 27mm width, 25c tyres can be run at low pressures for a supremely comfortable ride. In clincher form, the 399g rims build a plush riding and light wheelset featuring the latest brake track technology and industry leading warranty. 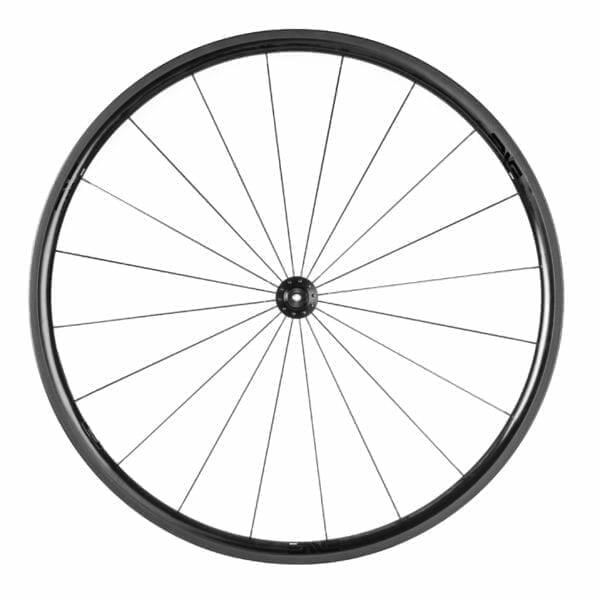 Tubular rim builds or thicker gauge bladed spokes are available for riders wanting the lightest possible wheel or increased stiffness and power transfer. 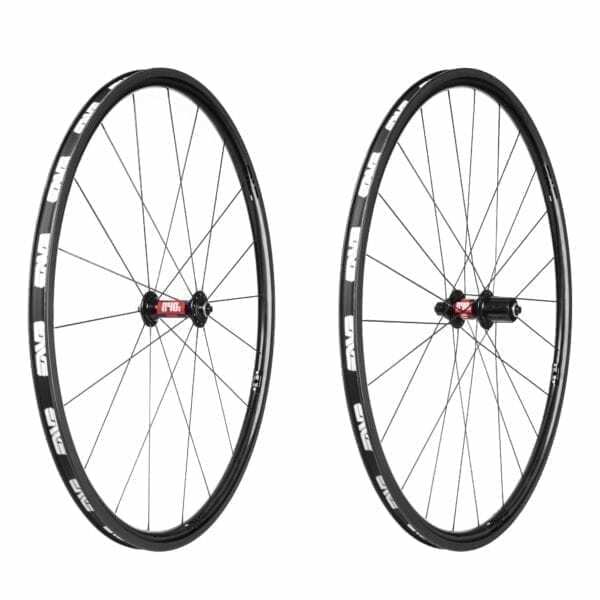 Riders wanting a little more aerodynamic performance should consider the ENVE 3.4 Wheelset. 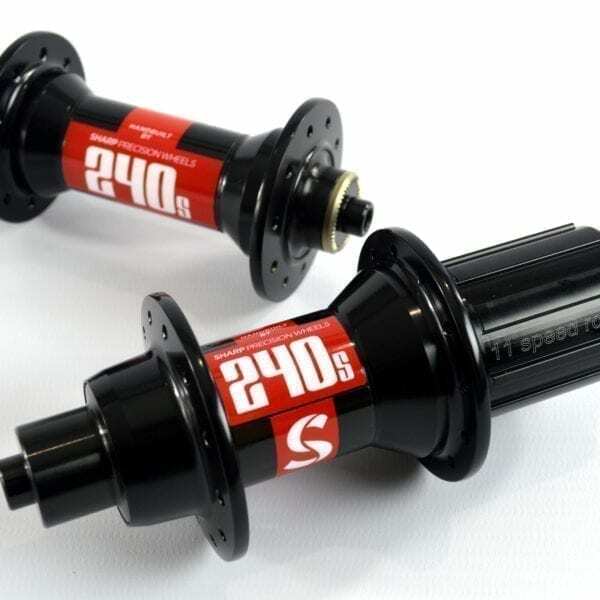 *List price on DT Swiss 240s Hubs/Sapim CX-Ray. ENVE rims are built by hand in Ogden, Utah, USA. At their new state-of-the-art facility ENVE can carry out design, manufacturing, and testing. Every stage of the product life cycle can be controlled with unmatched precision, allowing ENVE engineers to produce the strongest, lightest and most aero rims available in the world. In their own words: “We won’t ever compromise materials, processes, or performance to hit a price point. There’s no lower tier. You’re not buying a brand name or an image, you’re buying engineered excellence. If it says ENVE, it’s because it’s the very best it can be.” I love building with ENVE products because they represent the pinnacle of carbon manufacture. The consistency of carbon layup enables wheels to be built with incredibly even spoke tension, essential for longevity of the wheel. The proprietary moulded spoke holes handle the highest permissible tension without any pulsing or deviation of the brake track. Finally, they are wind tunnel tested to be exceptionally stable in crosswinds. This aerodynamic prowess exists in harmony with a unique stiffness-to-weight ratio: enabling a wheel which is not only aerodynamically fast, but rides with exceptional precision and accelerates rapidly. Moulded-In brake track technology comprising a 100% unidirectional carbon fibre textured braking surface provides 30% more stopping power than previous generations, near equal wet and dry performance and features a new high temperature resin which eliminates heat related rim deformation and degradation. Aerodynamically designed to be run with 25c tyres, these wheels can now be set up to run tubeless: please contact me for more information on the road tubeless system so that you can make an informed decision about whether it is suitable for your riding or see my blog for more information. ENVE 3 Day Promise: for when you need to go fast, fast. 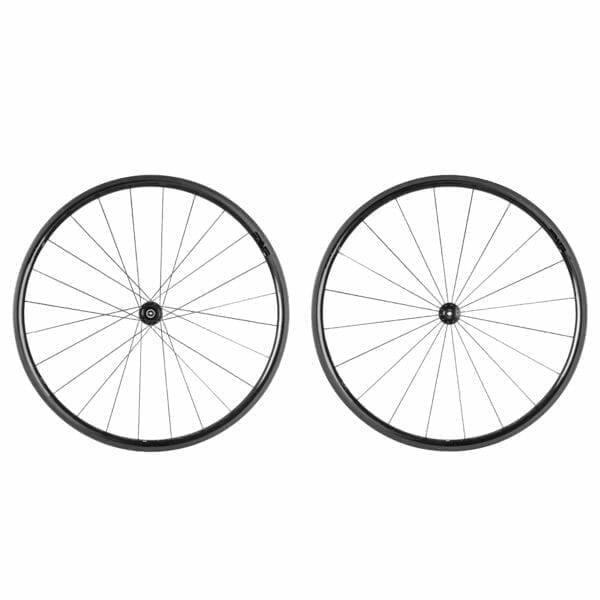 If an ENVE Road wheelset is listed as In Stock on the website, I have a build kit ready to be handbuilt for you with DT 240s hubs and custom decals. They will be built to the highest tolerance and delivered to you within 3 working days from payment. 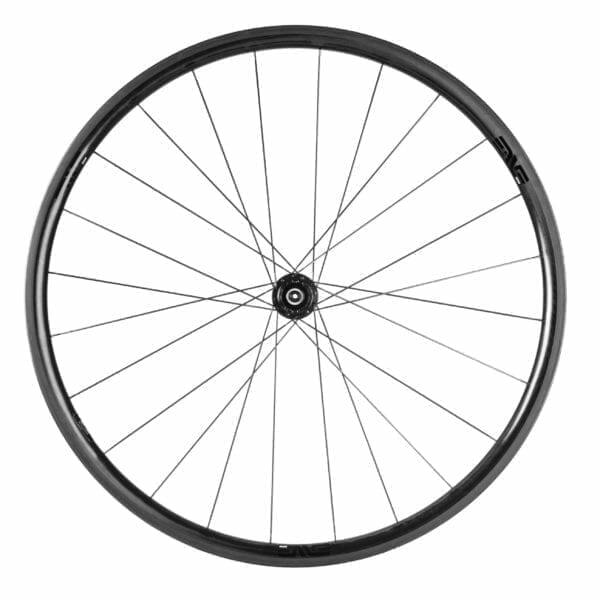 ENVE Road wheelsets are supplied with rim tape/tubeless valve kits, valve extenders and 4 pairs of brake pads. Full wheel care instructions are included with a pot of freehub body grease. 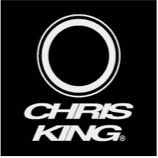 Please contact me directly for quotations and build time estimates using other hubs: ENVE Carbon G2, Chris King R45, ENVE Alloy, or DT Swiss 350/180 are all available to tailor the 2.2 rim to your specific riding style or bike. Tubular rim version available on request. Book a consultation using the Rider Profile Form on the Contact page or call 01403 333 211.